As Norway’s own skier’s paradise, there are plenty of amazing facilities to look forward to in Hemsedal. Sitting at an altitude of 800m, the resort provides incredible runs, breathtaking scenery and a wonderfully laid-back atmosphere. With efficient lifts, fantastic facilities and a host of amazing accommodations available to choose from, and prices are available to suit every kind of budget. Thanks to the village’s small atmosphere and cosy feel, it is easy to see why more and more people come to the area every winter to get their wintersports fix. Plus, the resort is particularly subdued during the week, making it a great time to visit. The ski season here runs from December to April, with plenty of amazing runs to choose from on well-maintained surfaces. There are snow-making facilities available on 22 pistes offering 21 km of snow-sure slopes. With a wide variety of ski runs available, there is something for everyone at Hemsedal, ranging from beginners to experts. 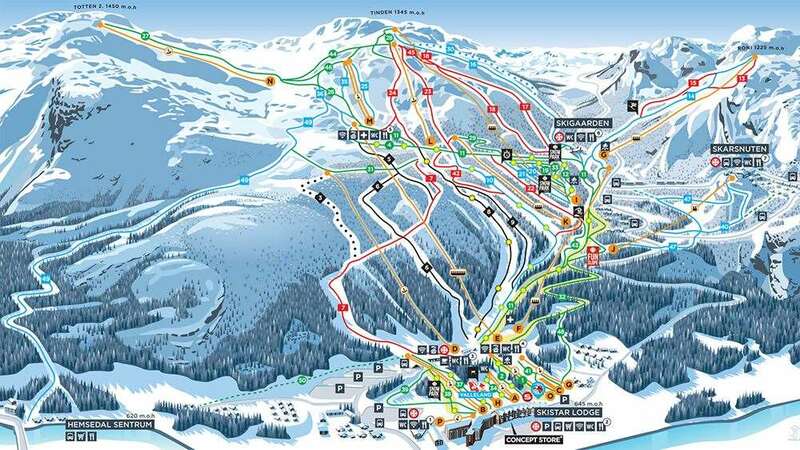 There are a total of 49 slopes and 20 ski lifts, with the longest run stretching to 6 km. What’s more, there are some excellent cross-country routes across the valleys and forests of Hemsedal, along with 90km of mountain trails. 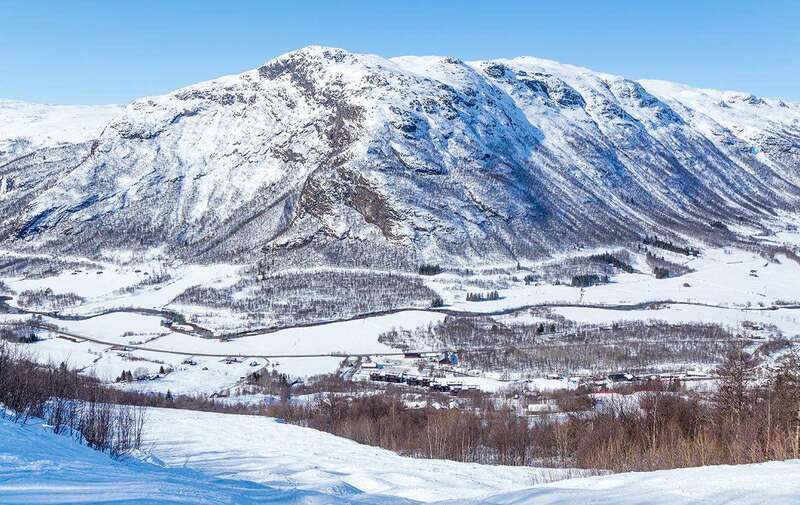 Keen skiers and snowboarders will love shredding the slopes of Hemsedal as slopes open at 7:30am on Saturdays and nightskiing until 7pm is open 3 days a week. One of the best après ski attractions in the area is Stavkora, where four residents DJs and a fantastic atmosphere await visitors. For something livelier, the Bart nightclub could be a fantastic option, as it offers six bars and a extensive drinks menu. The Elgen Bar is another excellent option and offers awesome drinks, making it the perfect place to mingle with other wintersports fans. With many of these bars only a short walk from the village centre, everything is easily accessible. The closest airport to Hemsedal is Oslo, which is around three hours away, and Bergen is 4 hours away. Flights may also be available to Fagernes airport, only 80 km from the slopes.